Our lat­est method of trans­porta­tion, a photo by tf_82 on Flickr. 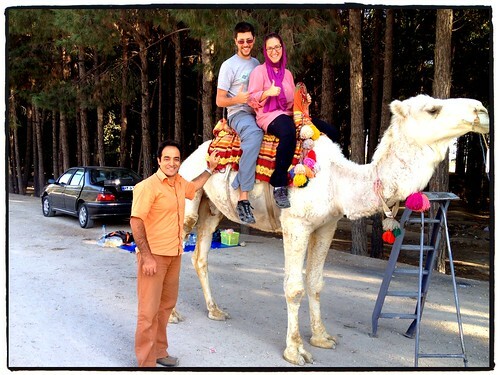 On our way to Perse­po­lis with our Couch­surf­ing host in Shi­raz, we stopped for a pic­nic and a camel ride. This entry was posted in Iran, Street Photos on 28 October, 2013 by Tim Fisher. Great photo,you all look cool and colorful.